I set up this page as a place to talk about what's coming up, what's being published, or how things are going. It is subject to change at any time, so check back. Vengeance, Book 2 of The Orphan's Tale, will be published in late 2016. I will be posting more accurate information as the time nears. I will be posting sample chapters and discussions from time to time, so check back. I am working on The Orphan's Tale, Part II. The story was originally contemplated as a two volume set, but the flow of the narration fits better into a trilogy, and the action, while covering eight months, actually takes place in three installments, the first being a month and a half in the autumn and the second taking place in the two months after that. The third takes up again in the summer of the next year. 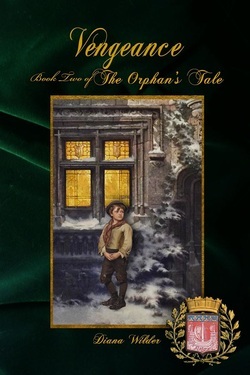 THE ORPHANS TALE: VENGEANCE is set in 1834 Paris, a city where rioting occurs regularly, and a revolution is attempted every other year. Paul Malet, a man born in a prison, raised as the protégé and heir of a Master Criminal, turned his back on the power awaiting him and chose to join the Police, using his knowledge and skills to uphold the law and protect his charges. As the orphan of this tale, he is now commanding the Police of Paris in the absence of the Prefect. The clues taper off like rivers running into the sand. With no firm leads, Malet's hands are tied. Fighting shadows and seeking a pattern as the attacks increase, he is losing time. A close subordinate is nearly killed when one of Malet's precincts is stormed. Even his fiancé, Elise, is being threatened. An informant reports whispers of more dire plans against the Police, and Malet in particular. Fearing for the safety of those he loves, unable to fight shadows, Malet turns to the lessons he learned in prison and faces a choice more painful than he has ever had to make..
Kadesh is projected for publication in late 2016 and things are falling in place. The story line (apart from the historical information) is well set. I adjusted things to tie in with Mourningtide. Hori spent four years with his grandfather, Seti (from Mourningtide) and learned from him. In the course of this book the events are balanced against his recollections of his grandfather's thoughts. Some characters have stepped forward, as well. Djedi, from Mourningtide is present as the commander of the Division of Amun. He, like Hori, remembers Seti, and he remembers the time after Nakhtamun's death. 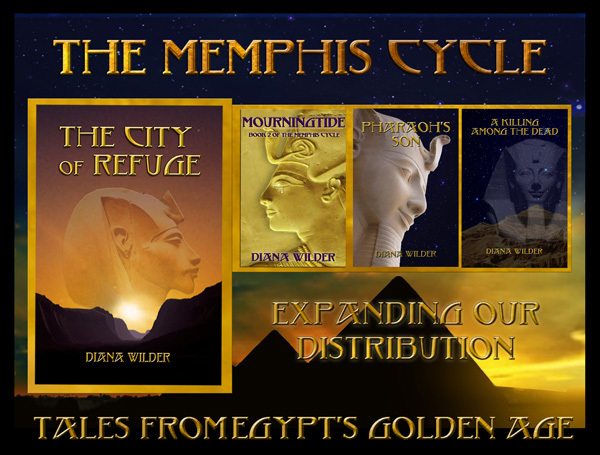 General Senwadjet, who appeared at the beginning and at the very end of Mourningtide, is the second-in-command of the Division of Ptah, though he technically serves under Hori. The three of them watch the story unfold.